The co-ed St. Augustine team was a hit at the Warde High School "Dance Jam" dance competition on Saturday, Feb. 9, 2019, in Fairfield, Conn.
FAIRFIELD — It was a showcase of athleticism and creative finesse Saturday afternoon when Fairfield Warde High School hosted its fourth annual Dance Jam” dance competition. More than 20 teams from around the state came to compete, impressing judges with a variety of routines centered in jazz, hip hop and more. “This is our fourth year doing this, so it’s pretty special to us,” said Patrice Somers, Warde dance coach, with her team not directly competing but performing a showcase at the end. 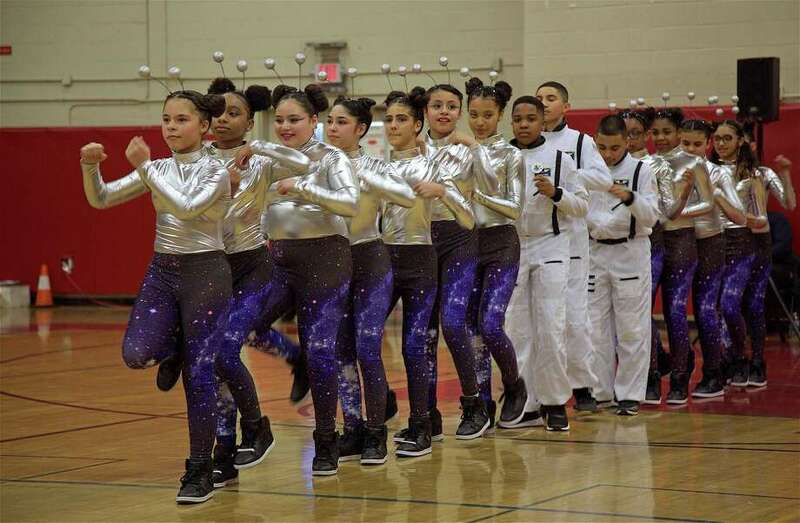 “I love seeing athletes come from all over the state to perform and support each other in the wonderful sport of dance,” said parent Jennifer Weinstein of Fairfield.